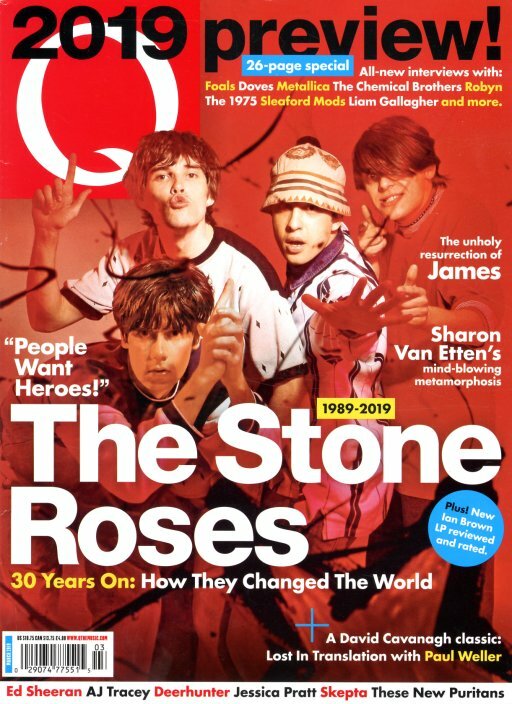 The Stone Roses rise again – in a big cover feature that looks at their 30 years in music! The issue also has a 26 page section on the year to come in music – which also has interviews with Chemical Brothers, Metallica, Doves, Foals, The 1975, Sleaford Mods, Liam Gallagher, and Robyn. There's also an article on the rebirth of James – plus more on Ed Sheeran, Sharon Van Etten, Paul Weller, Deerhunter, Jessica Pratt, and others. © 1996-2019, Dusty Groove, Inc.